In this post we are going to discuss about how to clear node.js console on windows. Node.js is a platform for building fast, scalable network application. When you install Node.js in your windows machine you will get Node.js Command Prompt and Node.js console application as shown below. 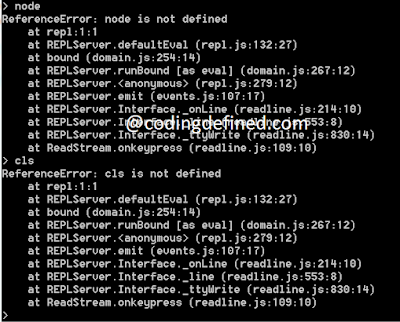 Node.js Command Prompt - This is a normal command prompt where where the path has been adjusted to include node.exe. Now suppose you have typed something (lets say node) in Node.exe and wanted to clear it. 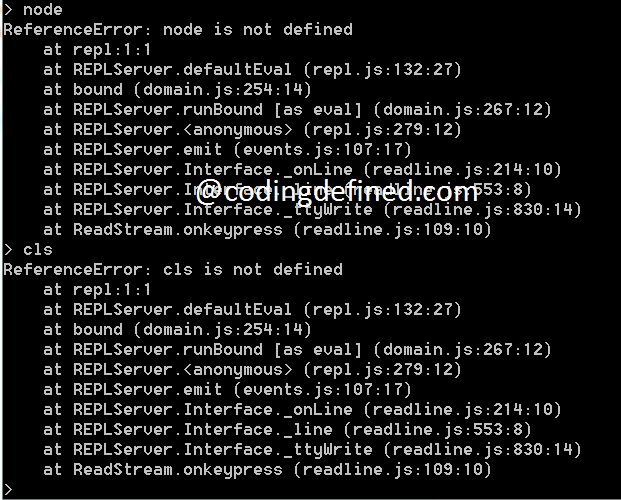 Unlike Node.js Command Line, cls will not work in Node.exe. To clear the Console of Node.exe on Windows you have to type process.stdout.write('\033c').